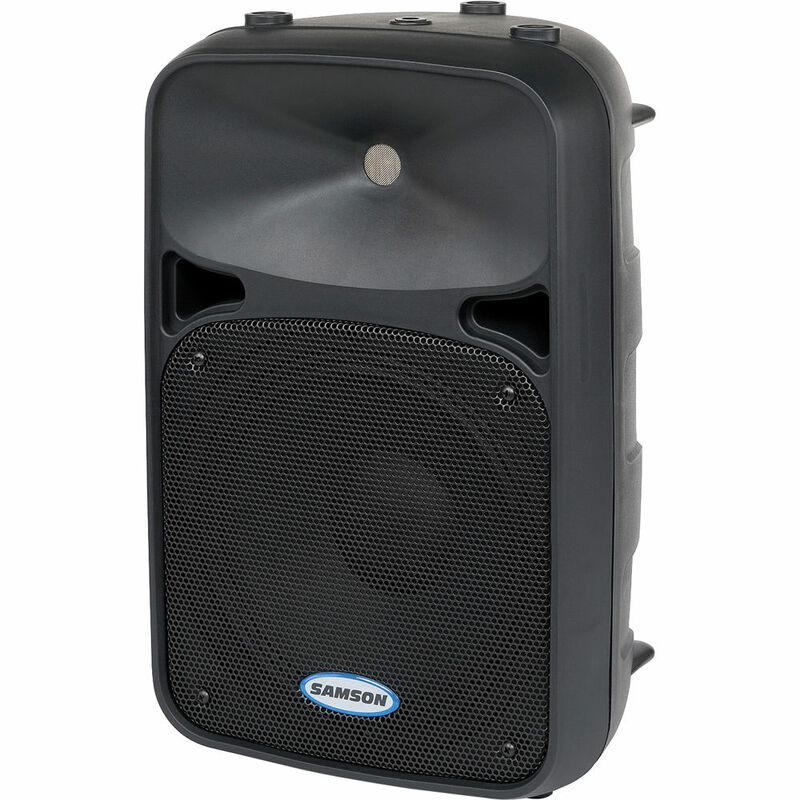 The Samson Auro D210A 2-Way Active Loudspeaker is a rugged, lightweight and compact powered PA speaker well suited for musicians, stage monitoring, DJs, presenters, houses of worship and much more. The D210A delivers full-range audio with articulate bass and pristine, lucid highs. The rear panel features 1/4" line and XLR inputs capable of microphone or line level signals. The XLR output provides a link to multiple D210A speakers. The D208 is pole mountable with a 1 3/8-inch (35mm) at the base. Box Dimensions (LxWxH) 21.0 x 14.6 x 12.2"